The blogging hiatus is over. Somehow, there's been little time to breathe since returning from Reno...so while the blog's been quiet...nothing else has been. But now...it's time to catch up. 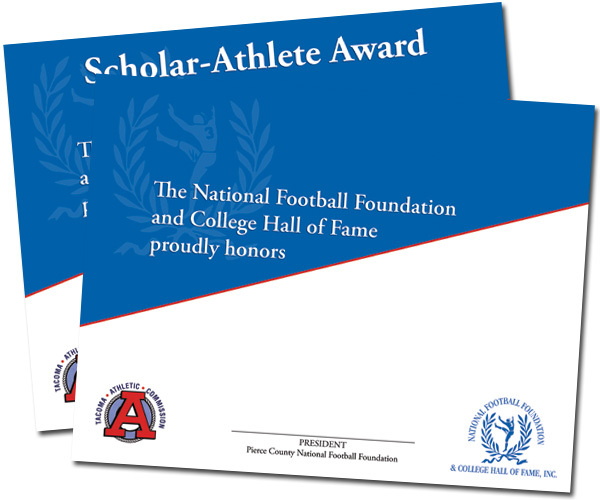 I'm heading back to editing...but in the meantime, check out the newly-designed awards for the local National Football Foundation. They were unveiled a week ago at the Scholar-Athlete Banquet. Check back this week for updated shoots...some engaged lovin', wee munchkin runnin', little miss may bunnin' and a wee bun in the oven.